Do any of these pains sounds familiar? You aren’t alone. Thousands of people decide they want to get healthy every single day but most don’t know where to start. Why is it that many fit and healthy people make eating well seem so easy? Well, it is easy for them simply because they learned how. Eating well and quickly preparing meals is a learned skill. Like any other skill, eating well and cooking becomes quick and easy with a little practice. Don’t believe me? Yes, these are pictures of me in my early college years. I’m feasting on some type of noodle cheese creation, a Big Mac and a pretty terrible pie. Oh, and there was this cake batter phase my roommates and I went through but I will leave that story for another time. It wasn’t until my early 20s that I started paying attention to the foods I was eating and the toll it was taking on my body. My diet did not change overnight. In fact, it took me years before I really figured out which foods are actually “healthy”, how to easily prepare meals and consistently eat well with a busy lifestyle. Now, I want to help others learn to do the same but in a fraction of the time. As a Zested Lemon reader, you already have a huge advantage because I’ve fine-tuned the ideas, strategies and tips that I’ve developed over the years. Below I’ve shared some of those essential tips to help you create healthy habits. 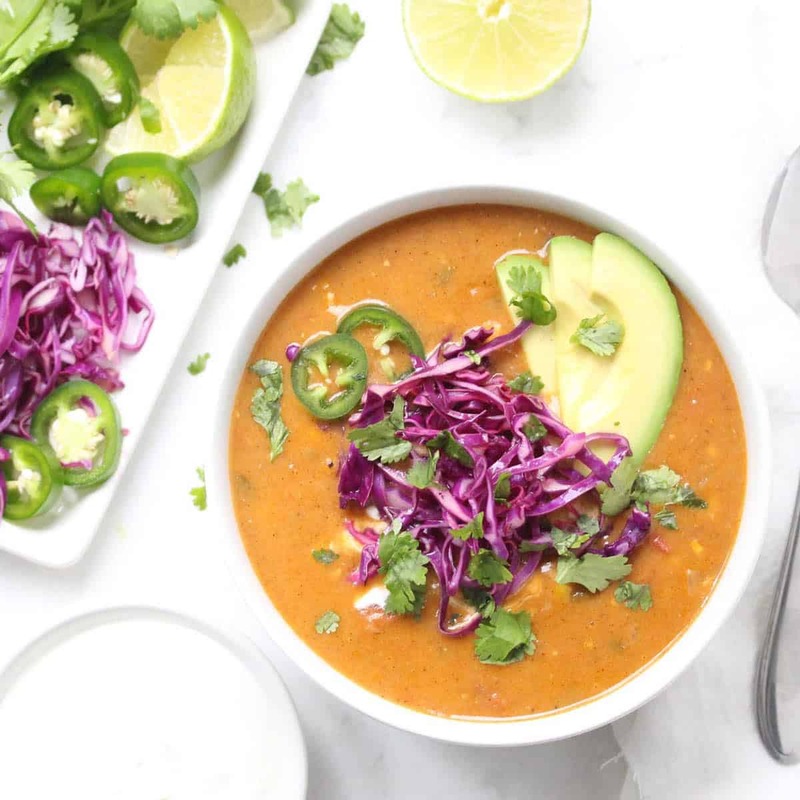 This article has something for everyone whether you are a complete beginner or an experienced healthy foodie looking for new ideas or a little inspiration. Before we begin I want to point out that I’m not going to insist you only eat specific foods that are fresh, local, organic, grass-fed and picked by Mayan virgins. For starters that is unrealistic. Secondly, I’m not here to force specific choices or lifestyles on anyone. My goal is to give you the basic knowledge, guidance, tools and resources to make food choices that are right for you. Just remember, if that easy mac obsessed, pizza loving girl above can learn how to eat and cook well, so can you! 1. PUT AN END TO “DIETING” AND LIVE THE 80:20 LIFESTYLE. How many times have you told yourself that you’ll do better next week? I often find that people tend to have the all or nothing mindset when it comes to what they eat. They expect themselves to stick to a very rigid diet and allow themselves little to no leeway. Then when life happens, as it always does, they feel guilting for eating a slice of pizza and “breaking” their diet. That one slice of pizza somehow convinces people that their entire week is ruined. So, they throw in the towel and tell themselves they’ll do better next week. This vicious cycle means your expectations for yourself are likely unreasonable and unsustainable. That is why diets don’t work and aren’t viable long-term solutions. Here at Zested Lemon we believe in living a healthy life that is sustainable and full experiences shared with the ones you care about. This is why we live the 80/20 lifestyle and encourage others do so as well. Eat real healthy food 80% of the time. The other 20% of the time, live life. Go to happy hour. Host a cookie baking party. Try out a new restaurant. Living 80/20 promotes long-term healthy habits because it encourages you to live a life that makes you healthy and happy. A life without limitation, restriction or guilt. Sounds pretty good, right? How to Take Action Now: Try out the 80/20 lifestyle for a week and see if it something that could work for you! 2. FIND YOUR PEOPLE (IN-PERSON OR ONLINE)! Surround yourself with other healthy foodies whether it be in-person or online. It is important to find other people with the same interests and goals as you and here’s why. After deciding to improve your diet and live a healthy lifestyle, not everyone will have a positive reaction. People don’t like change and when they see you making changes to improve yourself, it forces them to reflect on what they’re doing for themselves. Have you ever heard the saying, “You are who you surround yourself with.”? The people around you influence your thoughts and actions. Their energy is contagious.This is why people with the same interests, hobbies, lifestyles and habits tend to flock together. It is why business people are so connected with other business people. It’s why groups of friends have similar levels of education. It’s why you see fit people working out with other fit people. It is why partiers hangout with other partiers. Seek out friends with the same goals as you or find other healthy foodies online. Join a Facebook group. Follow healthy foodies on Instagram. Read food blogs. Use Pinterest to save healthy recipes, workouts and food ideas. How to Take Action Now: Find your people! Connect with friends who value a healthy diet. Get on social media! Start joining, following, pinning, commenting, reading, scrolling and friending other healthy foodies. Don’t know where to look? Checkout some of my favorite online foodies to follow. 3. GET YOURSELF TO EAT MORE FRUITS AND VEGETABLES BY USING THIS SIMPLE STORAGE TRICK. The crisper drawer in the fridge is where good intentions go to die. How many times have you gone to the grocery store and purchased a bunch of fresh fruits and vegetables only for them to sit in the crisper drawer and turn to goo? Then you kick yourself for wasting good food, money and not getting in all your fruits and veggies. Any of this ringing a bell? It’s ok. We’ve all done it. Fruits and vegetables are constantly going bad in crisper drawers all around the world because they are out of sight, out of mind. If you want to eat more fruits and vegetables, store them where you can see them. Store your fresh produce on an open shelf in the fridge closer to eye level so that every time you open the fridge, the first thing you see are all the colorful fresh fruits and vegetables. Store fruits and veggies that don’t need to be refrigerated in a decorative bowl on the counter or dining table where they are easily seen. Every time you walk into the kitchen or open the fridge, fruits and vegetables act as a visual reminder to be eaten because they are directly in your line of sight. Use the empty crisper drawers to store items that aren’t perishable (like canned beverages) or items you know you won’t forget about (like cheesecake or prepped meals). I personally use one crisper drawer for make-ahead/meal-prep/leftover meals and the other for meat, poultry, fish or tofu. 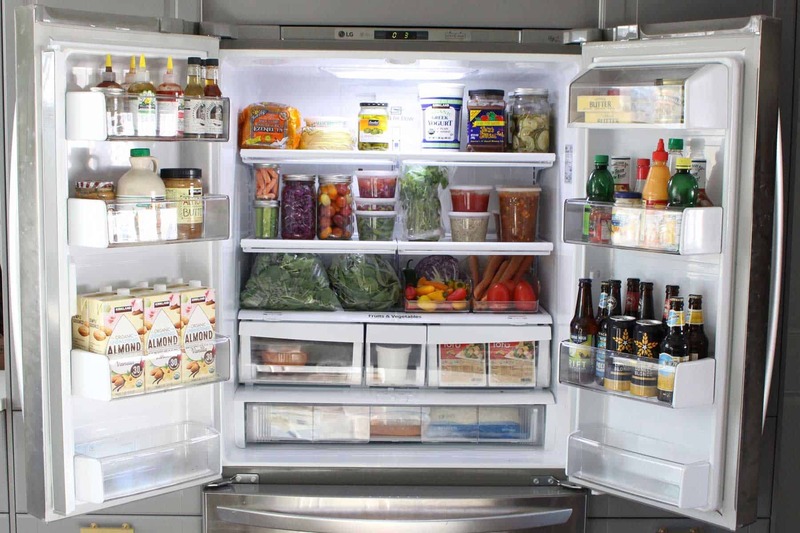 How to Take Action Now: Do a little reorganizing and store your fruits and vegetables directly in your line of sight using the tips above. To really up your game, checkout my favorite fruit and vegetable storage products (you can get it all on Amazon) and my 19 minute fridge transformation. 4. THE ANSWER IS SIMPLE. EAT MORE REAL FOODS. EAT LESS PROCESSED FOODS. We all know physical health is generally achieved through exercise and a healthy diet. The number one question I get is, “What is a healthy diet?”. This is then followed by an array of other “diet” questions. Should I eat low-fat? Gluten-free? Low-carb? Paleo? Should I do a “juice cleanse”? Should I count calories? Should I cut out red meat? Should I eat only kale and spinach? Should I mix a stick of butter into my morning coffee? Food companies, advertisers and the media are constantly bombarding us with new food products and information about what allegedly is or isn’t healthy. Their messages are constantly changing and spread like wildfire. No wonder people are confused. Checkout this video for a little comedy on the subject. The answer is really quite simple. Just eat more real food and less heavily processed food. Real foods come from things that naturally roam, swim, fly or grow on the earth. These foods are rich in nutrients and are best eaten in their natural state or with minimal processing. Examples are whole apples (natural state) and chicken breasts (minimal processing). Processed foods are deliberately altered before being made available to consumers. There are varying levels of food processing. Minimally processed foods, such as frozen green beans, are still healthy options. Heavily processed foods such as frozen meals, cereal, chips, fruit snacks, lunch meant and fruit juice are not very healthy options. Heavily processed foods are stripped of nutritional value and contain additives, preservatives, artificial ingredients, excess salt and large amounts of added sugar. Real food does gives your body the nutrition it needs. Highly processed food does not provide your body the nutrition it needs and fills you with excess calories, sugar, salt and artificial ingredients. Obviously, an apple is real food and a healthier choice than Cheetos. However, the answer isn’t always that apparent for a newbie. Here are a few examples to give you an idea of what to look for. How to Take Action Now: Take a look at the foods you normally buy. 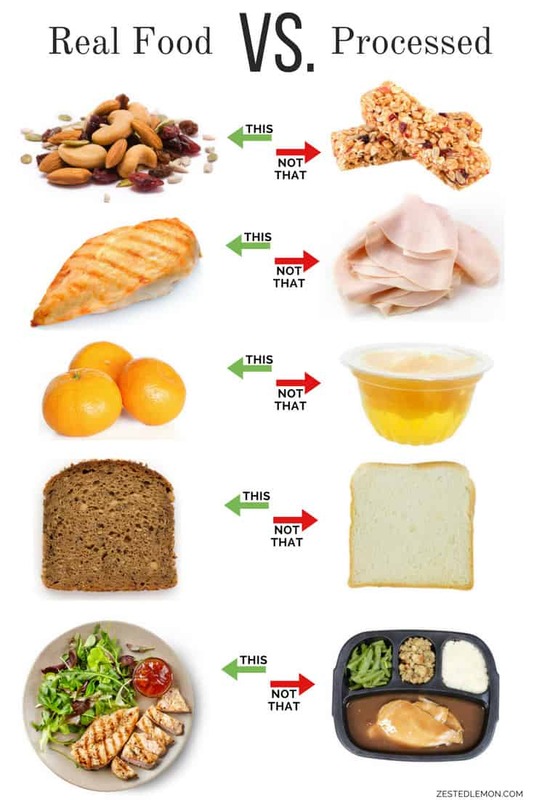 Swap out a few things for healthier/real food options. If you really want to go the extra mile, clear out your pantry of pre-packaged, artificial foods and donate them to your local food shelter. 5. 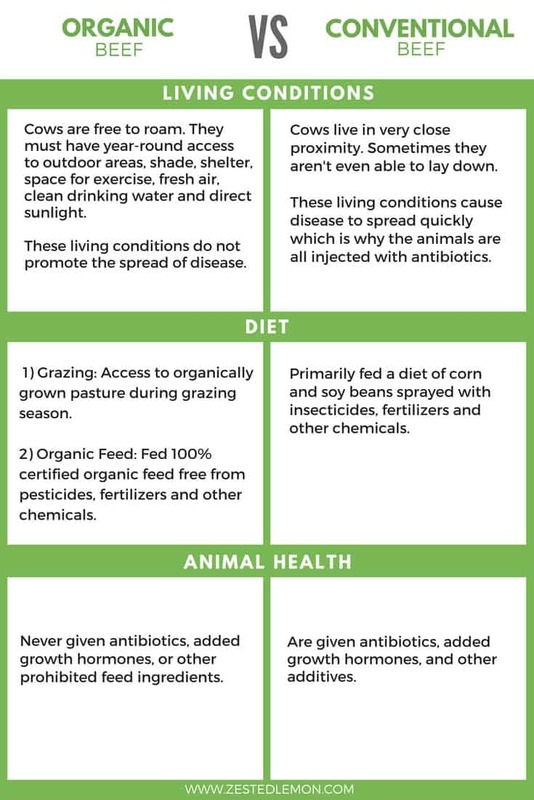 UNDERSTAND THE DIFFERENCES IN FOOD QUALITY. Generally, you get what you pay for. Food is no exception. It is very hard to make or produce anything good for a very low price whether it is a laptop, a piece of furniture, a pair of jeans or a good piece of meat. Many assume carrots are carrots and that higher prices for the same “type” of product means you’re being ripped off. However, most of the time this is entirely untrue. Foods that are of higher quality (fresher, organic, etc.) have higher production costs which increase the overall price to the end customer. Let’s take beef for example and look at some of the differences between organic and conventional beef. The close living conditions, lower quality diet and quick slaughter times due to the use of growth hormones enable conventional cattle farmers to provide a lower cost product. The practices of organic certified farms produce a natural product but at a higher cost. How to Take Action Now: Checkout the differences for yourself! Go to a higher-end grocery store. Visit the produce section as well as the fish and meat counters. You will likely notice a large variety of fresh and organic options. The fish and meat counters will likely have a very fresh and pleasant smell. Then do the same at a budget grocery store. Although budget grocery stores still have plenty of healthy foods, you will notice there are probably fewer fresh and organic options available. The fish and meat counters sometimes have a slightly less pleasant smell. 6. BUY THE BEST QUALITY FOOD THAT FITS WITHIN YOUR PERSONAL BUDGET. Now for the next natural question. How much should I spend on food? I recommend you purchase the best quality food that fits within your budget. It is a personal choice and there is no right or wrong answer. Good and healthy options are available at all price points. For those who are working with a limited budget, there are plenty of ways to get higher quality foods for less money. Try shopping at wholesale stores (like Costco). 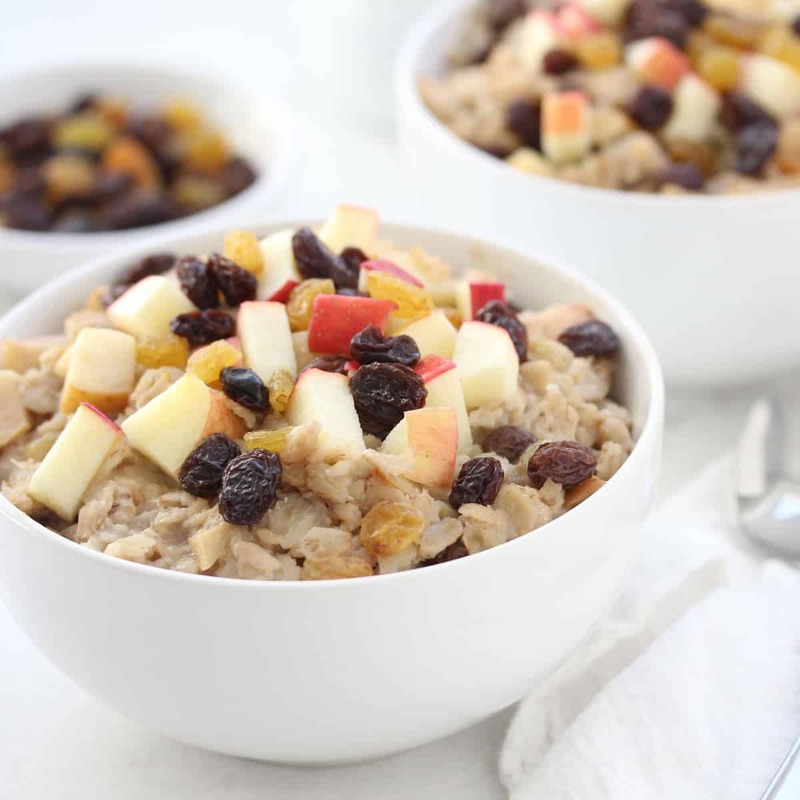 Buy spices, nuts, dried fruit and grains from bulk bins at the grocery store. Stock up when items go on special or sale. Freeze what you aren’t able to eat. Checkout farmer’s markets and local CSA programs. 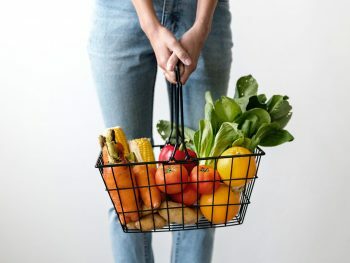 If you are interested in buying organic fruits and vegetables but can’t quite fit them all into your budget, you can strategically pick and choose. Find out the best produce to buy organic and the produce to buy non-organic. How to Take Action Now: The next time you go grocery shopping, swap out a few of your normal purchases with higher quality options. Try fresh vegetables instead of frozen or give organic beef a try. Shopping wholesale is a great way to get higher quality foods for less. 7. FOCUS ON PREPARING BASIC MEALS BEFORE TRYING LENGTHY COMPLEX RECIPES. It is kind of like math. You would never try to learn algebra before learning how to add and subtract. If you did, you would likely spend way too much time on one problem only to get frustrated and give up. It just wouldn’t work. Same goes for preparing healthy meals. You have to start with the basics and here’s why. 1) Skill & Knowledge: Healthy eating habits require some basic skills and knowledge. 2) Effective Foundation: Having knowledge of the basics sets the foundation for healthy eating habits. A solid foundation is key to moving on to harder recipes and creating them successfully. 3) Efficient Progress: Basic recipes help you develop the skills needed for long-term healthy eating habits in the most efficient manner. You can then build on those basic skills to create endless healthy meals with minimal effort and time. 4) Psychology of Success: Success is crucial when working towards achieving a goal. Success creates momentum. Momentum propels you forward towards your goals and increases your confidence. You are far more likely to succeed making a very basic meal than a complex one. 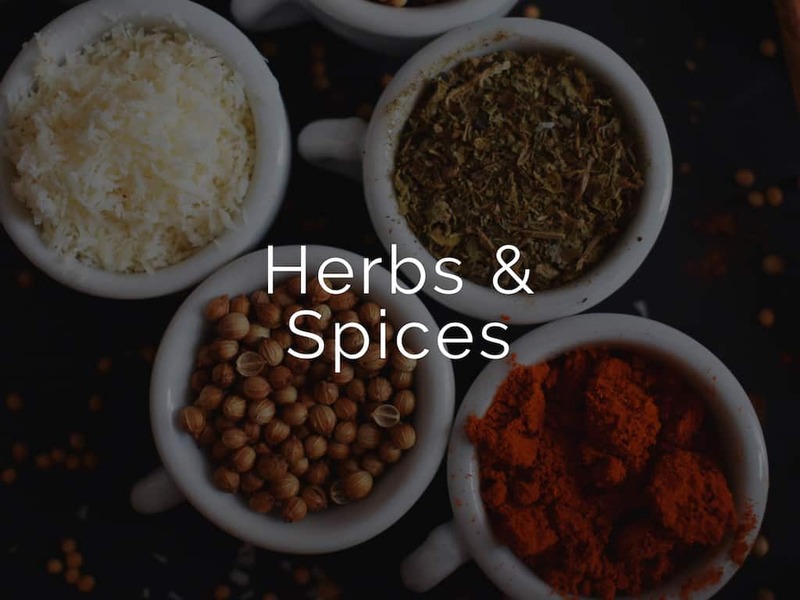 Once you’re comfortable with the basics, you can start trying new ingredients or new cooking methods. The options are endless. How to Take Action Now: Go back to basics. 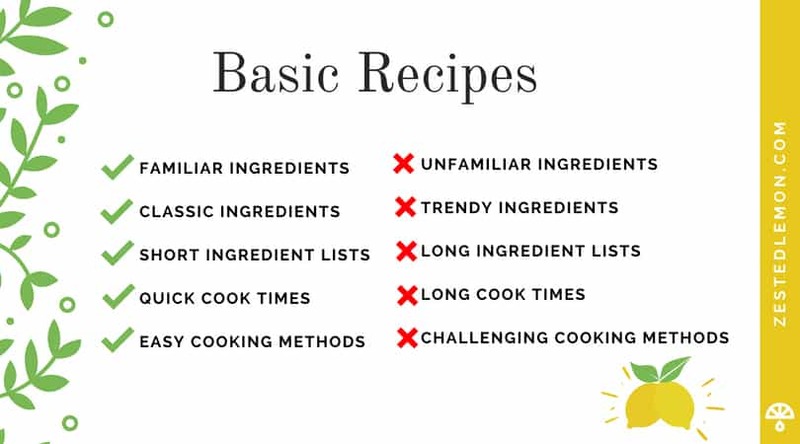 Find a healthy basic recipe. Make the recipe a few times over the next couple weeks or until you feel very comfortable with it. Then start building on it by using the Switch Trick (see #9). To really jump start your progress, download my Back to Basics: Healthy Recipe Mini Guide. This 22 page guide includes 5 starter recipes, clear instructions and defined goals to help you easily build on the basics. Recipes are a great way to learn, try new things and get ideas. Generally, I recommend trying at least one new recipe every week to those just starting out. However, recipes can be time-consuming and tedious. Because of this, I often see people become frustrated when trying to follow a meal plan. Meal plans, weekly meal prep and recipes are all good strategies and tools. However, they are only beneficial for certain situations because they require a higher level of planning, time and commitment. 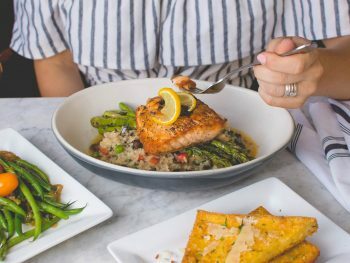 So, when you can’t dedicate that amount of time and effort, it is important to have a few other tricks up your sleeve to keep your healthy diet on track. Being able to make healthy meals without a recipe is the single best trick you can have.Don’t worry! Learning to do so is much easier than you think. Look at it this way. If you moved to a new city, you would likely have to follow a set of directions to go anywhere for the first time (work, restaurants, stores, etc.). Before long you would no longer need to use directions and could drive places without even having to think about it. It is the same exact thing when you’re learning how to prepare healthy meals without a recipe. 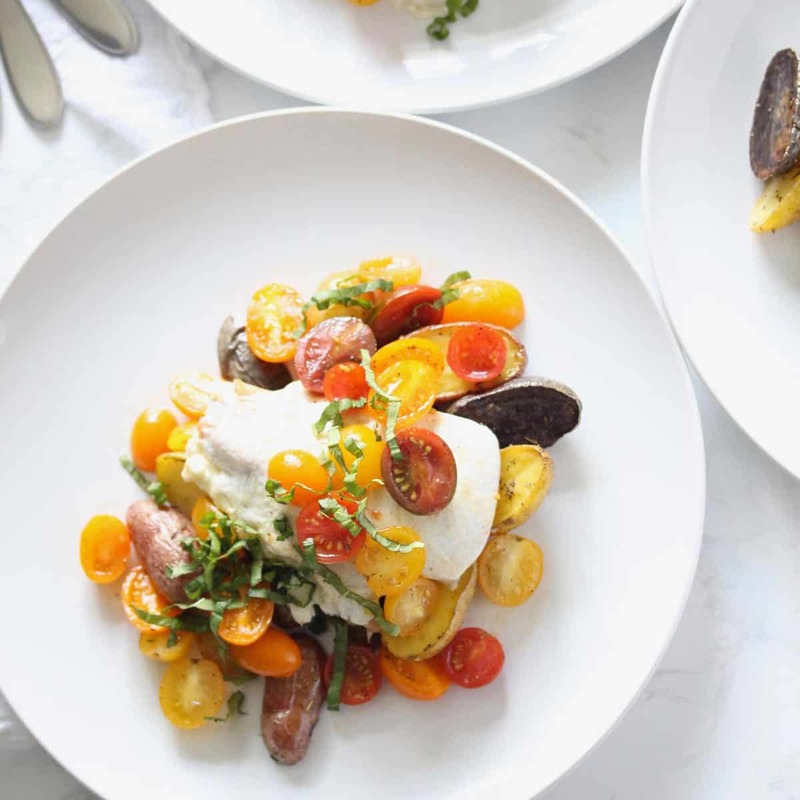 A little learning is required upfront but in no time, you’ll be able to throw together healthy and delicious meals without even thinking about it. To make the initial learning phase even easier, I’ve put together a nifty tool. I call it The Healthy Meal Framework. This tool will help you easily put together healthy and delicious meals using what you have on hand. 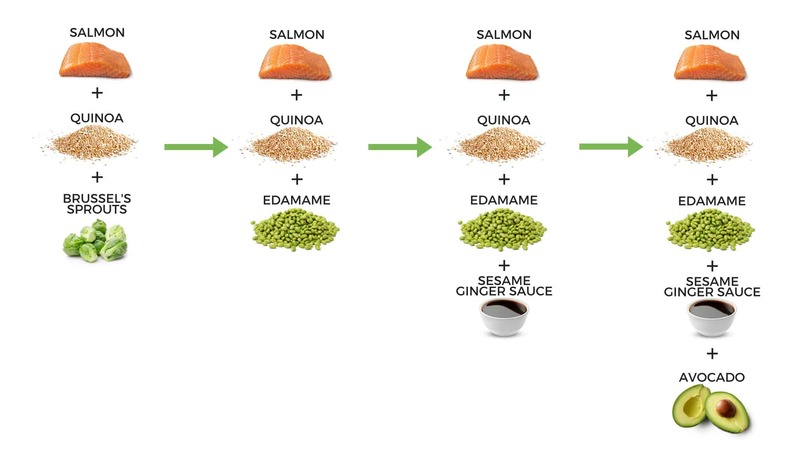 The Healthy Meal Framework simplifies the entire cooking process by breaking each meal down into a simple set of steps. It also includes recommendations, ideas, tips and cooking instructions that can be applied to thousands of food combinations. After using The Healthy Meal Framework for a few weeks, you will be able to open your fridge and put together a healthy meal. No planning, prepping or recipes required. Sounds pretty nice, huh? How to Take Action Now: Download a copy of The Healthy Meal Framework. Come up with one meal and make it! 9. USE THE SWITCH TRICK TO AVOID MEAL BOREDOM. Another challenge many people bring to me is meal boredom. 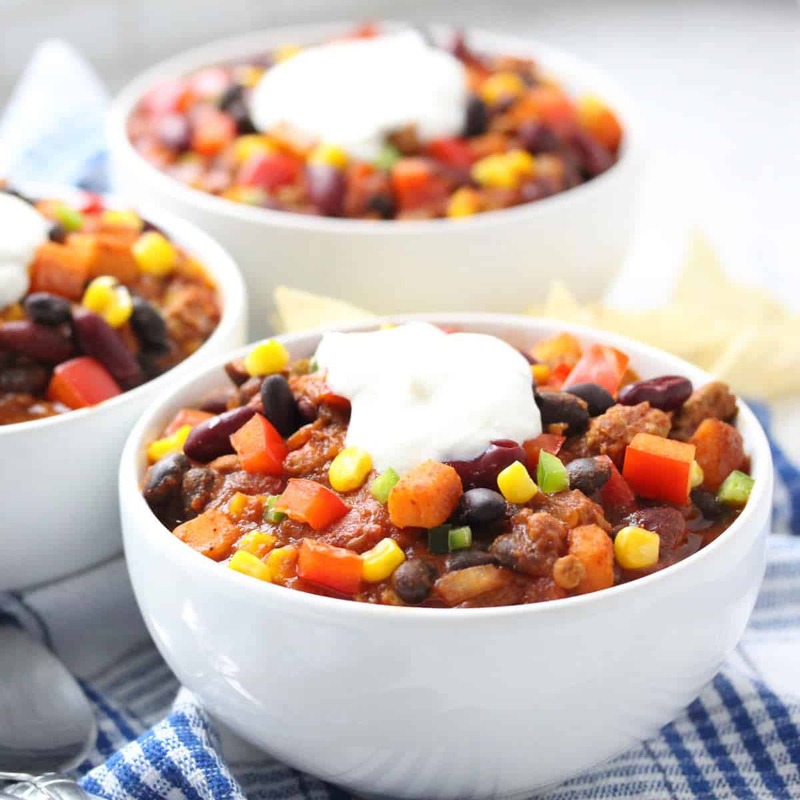 Their go-to meals have gotten stale, but trying out a bunch of new recipes on busy nights isn’t an ideal solution… especially when those new recipes don’t turn out. There is a better way and I call it the Switch Trick. The Switch Trick gradually introduces changes to dishes you’ve already mastered. This is how it works. You take a meal you are already comfortable making. Every time you make that meal, switch one thing about it. One switch can breathe new life into the dish and after two or three switches, you will suddenly have an entirely new meal. The Switch Trick is perfect for buy days because it allows you to enjoy new meals without the stress, time and risk of trying an entirely new recipe. Most importantly, the Switch Trick is an easy and fast way to help you LEARN how to prepare a variety of healthy meals. I personally use this trick often because it is the easiest and quickest way to add variety to my diet when I’m short on time. How to Take Action Now: Make a switch to the next meal you make. Add another vegetable. Switch out potatoes for rice. Add a quick and healthy sauce. The options are endless! Get creative and have fun. Hint: The Healthy Meal Framework has great resources that use the Switch Trick (it’s free!). 10. IF YOU PREFER TO HAVE A MEAL PLAN, SAVE TIME BY AUTOMATING YOUR WEEKLY MEAL PLANNING. Like I said earlier, meal planning has its benefits if done correctly and in the right situation. However, researching recipes, planning meals and putting together grocery lists takes a lot of time. Even if you have the time, it isn’t a very glamorous task. 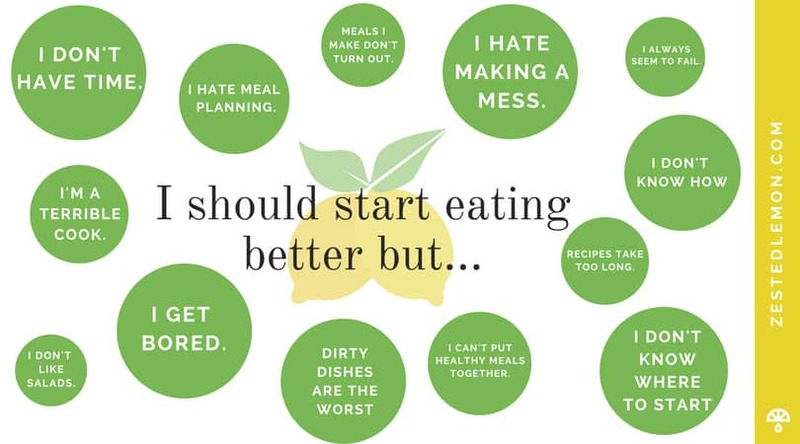 Wouldn’t it be nice if someone just did it for you and all the planned meals were ones you loved to eat? Unless you are looking to a hire a professional to make custom meal plans for you, there is an alternative solution; automated meal planning. Automated meal planning can help you stick to a healthy diet because it does all the work for you. A little upfront work is required but after the initial setup you will be able to use your automated meal plans as long as you like. For complete instructions on how to setup an automated meal plan, read Healthy Food Choices: It’s Psychology, Not Willpower. How to Take Action Now: Setup your own automated meal planning system. 11. SAVE TIME MEAL PREPPING USING THE 5-FOR-1 COOKING METHOD. Just like meal planning, meal prep has its benefits but also has its drawbacks. Meal prepping a variety of different meals takes too much time. Bulk meal prepping saves time but forces you to eat the same boring thing everyday. The 5-for-1 Cooking Method gives you the best of both worlds by meal prepping for a variety of different meals in the time it takes to bulk meal prep for one. Have you ever seen those magazine articles about wearing one clothing item 5 different ways to get the most use out of it? It is a pretty good strategy because it saves you time, money and closet space! 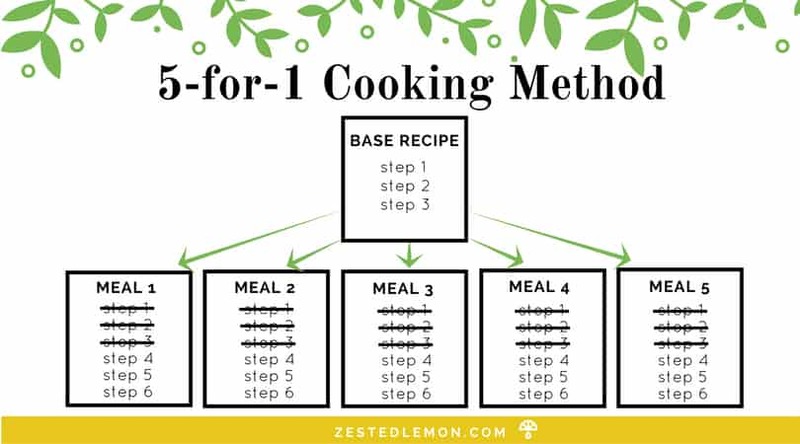 The 5-for-1 Cooking Method has a similar concept. This method simply takes a set of ingredients and uses them in different ways to create several unique, delicious, healthy meals. I refer to this set of ingredients as the “base recipe”. The base recipe is “prepped” one time at the beginning of the week and then used differently throughout the week in each meal. By doing this, you are able to spend half the time prepping and cooking. How to Take Action Now: Grab a free copy of the complete 5-for-1 Cooking Method Guide. Each guide also comes with one 5-for-1 Meal Plan which includes a week of meals, grocery list, recipes and detailed instructions. If you like what you see, give it a try! 12. PRACTICE CYCLE COOKING TO MAKE THE ENTIRE COOKING PROCESS EASY AND STRESS-FREE. Imagine you’re making dinner. The counter is covered with ingredients, kitchen utensils and something sticky. The sink is full of dirty dishes. A pot on the stove is boiling over and despite your efforts, you can’t seem to find the salt anywhere. The horror! Everyone has experienced this at some point. It is stressful and creates an huge mess which deters you from cooking anything in the first place. However, preparing dinner can be easy and stress-free if you practice Cycle Cooking. 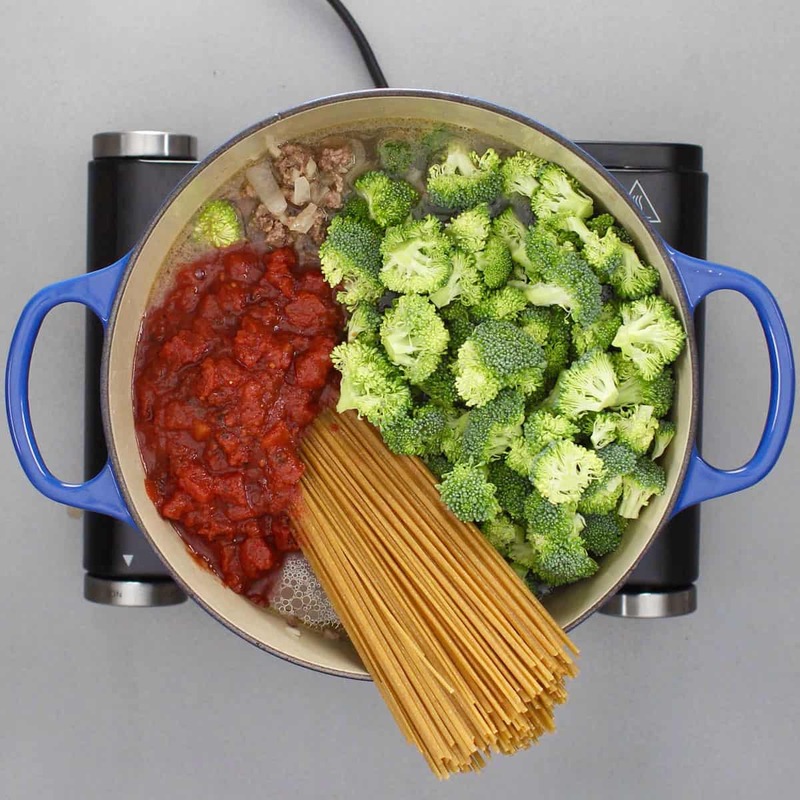 Cycle Cooking simplifies and organizes the way you cook by breaking down the cooking process into three major cycles. Each cycle must be completed before the next cycle can start. This allows you to focus on completing one thing at a time which is more efficient than multi-tasking. Here is how it works. 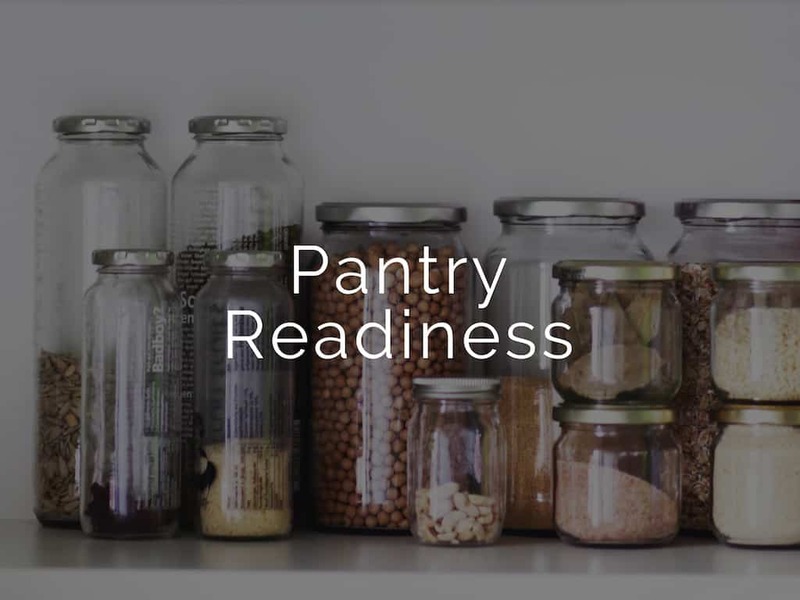 Cycle 1 – Prep: Gather and prepare all the ingredients needed to make the meal. This includes portioning out, measuring, cutting up, and seasoning all the ingredients. Gather and prepare all the utensils, tools, dishes, cookware and appliances needed to make the meal. 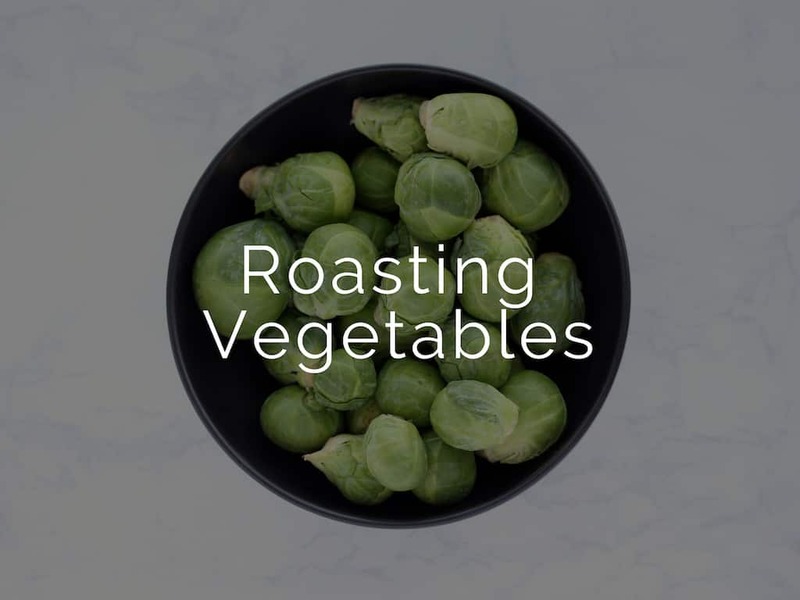 Examples include preheating the oven, filling a pot with water, pulling out a whisk and mixing bowl, or lining a sheet pan with foil. Cycle 2 – Clean: Put away all unused ingredients and any tools that are no longer needed. Throw away any garbage or scraps. Rinse and wash anything used during prep whether is it a cutting board, knife, spoon, bowl, etc. Cycle 3 – Cook/Clean: Cook the meal. This part should be a breeze if all the ingredients and tools were prepped. Rinse and wash all dishes, pots, pans and bowls immediately after you are done using them. Do not fill up the sink with dirty dishes. Dishes are harder to wash the longer they sit there (yes, even 10 minutes makes a huge difference). 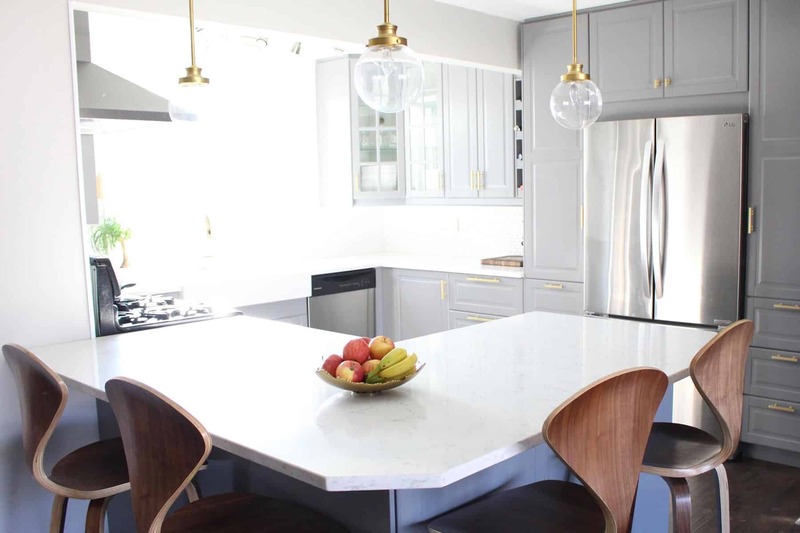 No one wants to tackle a sink of dirty dishes after they’ve enjoyed their delicious meal. Put away anything as soon as you’re done using it. Assemble the meal once everything is done cooking! After Cycle Cooking for a couple weeks, it will become a habit. Like anything, you will also get much faster with a little practice. How to Take Action Now: When preparing your next meal, try Cycle Cooking. 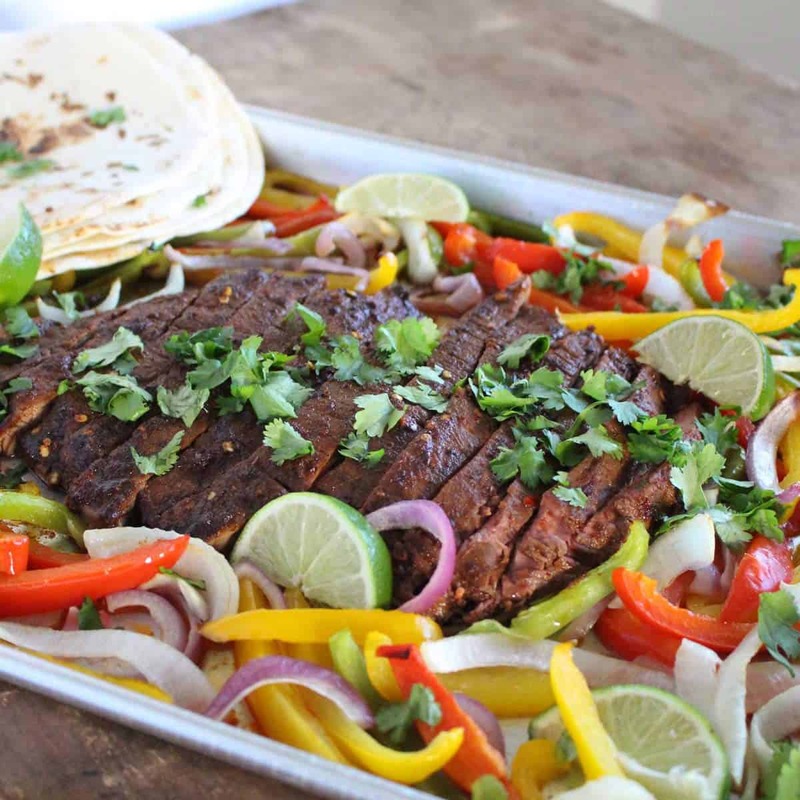 Below are a some good recipes that are perfect for practicing Cycle Cooking. For more tips checkout an article I wrote for FindMinds called How Improving My Environment Helped Improve My Eating Habits. 13. TRY ONE-PAN/POT MEALS FOR EASY PREP AND EASY CLEANUP. Line sheet pans with heavy duty foil to make cleanup even easier. Clean pots and pans within 5 minutes of removing them from heat. 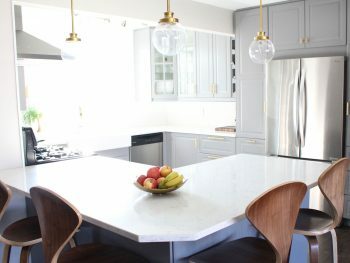 They are 10x easier to clean than if they’ve been sitting in the sink for hours (or days). Not all “one pot/pan” recipes make an entire meal. Some only make part of the meal. Look for recipes and ideas that make the entire meal in one pot or one pan. How to Take Action Now: Try a One-Pan/Pot Meal. It will change your life! 14. HEALTHY EATING HABITS AREN’T FORMED OVERNIGHT. THEY ARE BUILT OVER TIME. Think about when you first learned to ride a bike. You were probably terrified. When those training wheels came off, you thought for sure you were going to end up tumbling across the pavement. However, as you kept riding that bike, your confidence grew and you got better. Before long you were racing your friends, riding with no hands and pedaling around with someone sitting on your handlebars. It got so easy, you didn’t even have to think about it anymore. Same goes for preparing and eating healthy meals. Your confidence grows and your skills develop as you work to improve your diet. Just like riding a bike. The more you do it, the easier it gets. Set small goals. Achieve those goals. Then build on your successes. 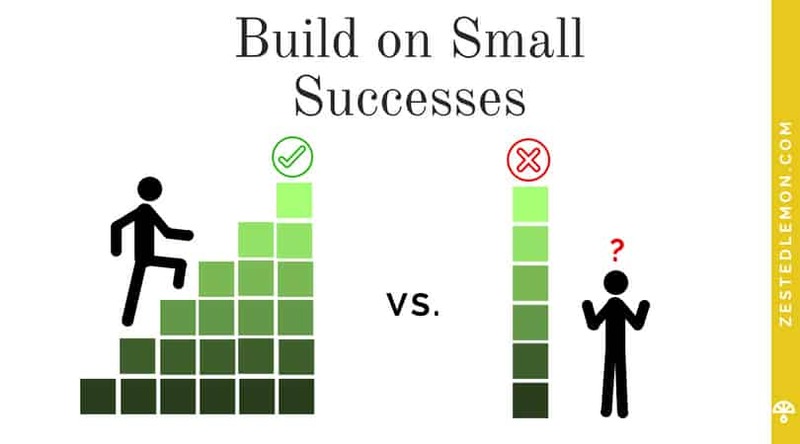 Don’t underestimate the impact of small successes. They act as stepping stones and over time add up to large achievements and big changes. Eat one piece of fresh fruit every day. Cook one more meal at home each week. Add an extra handful of veggies to two meals each week. 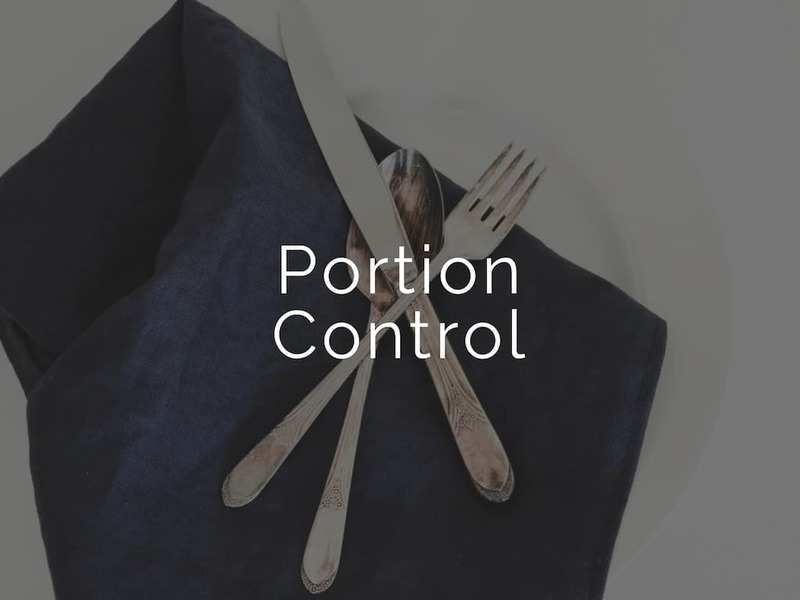 Try adjusting portion sizes for for two meals each week (try some of my portion control tricks to make it easy). There is a ton of information available online with just a couple clicks. The challenge is differentiating the good advice from the bad. Consider the cost of bad advice. If you’ve ever had a failed diet or a failed attempt at eating healthy, you already know bad advice can cost you precious time, effort and money. It is easy to find someone to tell you what to do by giving you a meal plan and telling you which recipes to make. It is much harder to find someone to teach you the skills you need to maintain a healthy diet, because it requires more time and effort. Invest in yourself. Find an expert to follow or consider seeking direct help and advice of a professional. Use the free resources they provide. This option is free but not personalized to your individual needs. This is a good way to get your feet wet and figure out if it is a good fit. Read articles they’ve written. Subscribe to their email list. Follow them on social media. Download any free material that is available on their website. Reach out for advice via email. This option is free and can cater to your individual needs to an extent but requires a bit more time. Do your research and make sure your question hasn’t already been answered in the material available on their website. Make your question clear and specific. Online professionals/experts are generally busy. They will appreciate your due diligence and will be far more likely to give you a valuable response. Pay for their advice or services. This is option is costly but time effective. Pay someone for a book they’ve written, a course they’ve created or 1:1 services. Time is valuable. EATING WELL AND MAKING IT A HABIT IS EASIER AND LESS TIME-CONSUMING THAN YOU THINK WITH THE RIGHT SKILLS, KNOWLEDGE AND TOOLS. I spend a large portion of my time researching the very specific pains and obstacles people face when it comes to food and eating a healthy diet. I do this because healthy eating habits can truly change your life. I’ve seen it first hand and I’ve personally lived it. A healthy diet can increase your energy and improve your health. It can make you look and feel more attractive and confident. Most importantly a healthy diet helps you to live a healthy, happy and full life. Live the 80:20 lifestyle – It is a sustainable way to eat a healthy diet while still living your life. 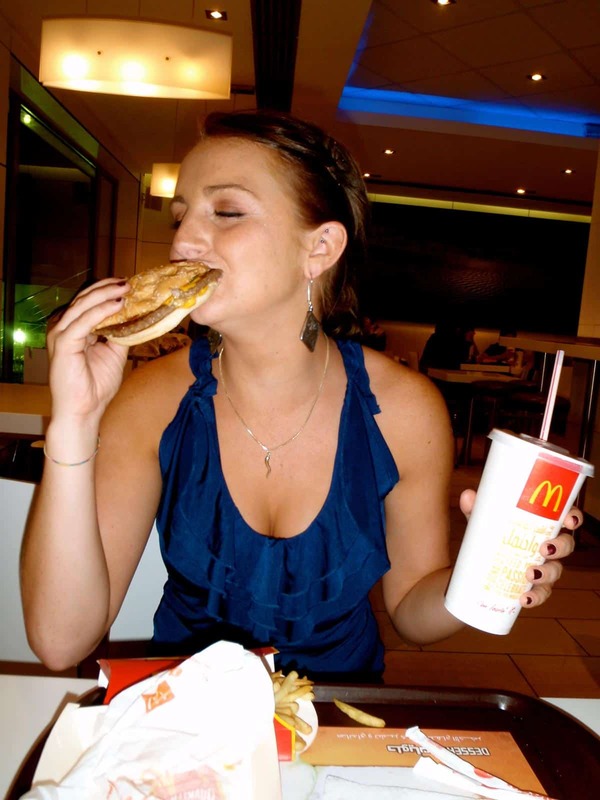 Eat real food – Real food nourishes the body the way processed foods can’t. Your body will thank you. Focus on basics first – Learning the basics of cooking will set you up for success. 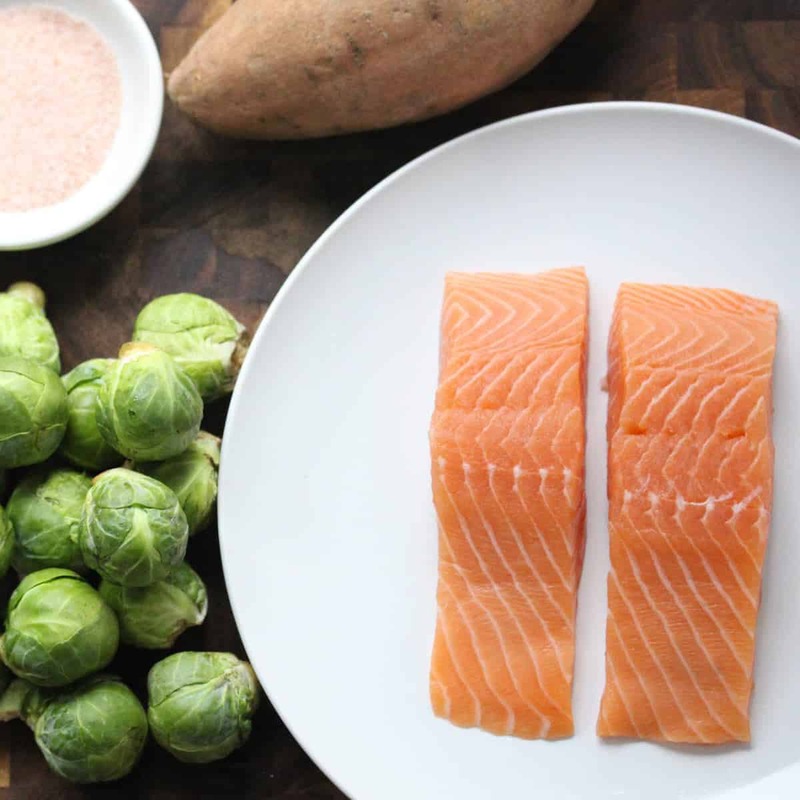 When you are ready to add new ingredients and flavors into your meals, the basics serve as the perfect stepping stones to endless healthy (and delicious) meals. Make planning, prepping and clean-up easier – Eating well doesn’t mean you have to dedicate hours to planning, prepping and cleaning. Cut yourself a break and use one of the time-saving strategies in the tips above. Have fun, eat well and be happy – Don’t take it too seriously! Want to start eating better today? Download any one of my free guides to help fast track your healthy eating habits and cooking skills. The 5-for-1 Cooking Method – How I meal prep a variety of different meals in the time it takes to prep one. The Healthy Recipe Mini Guide -The basics of making healthy meals with minimal time and effort. 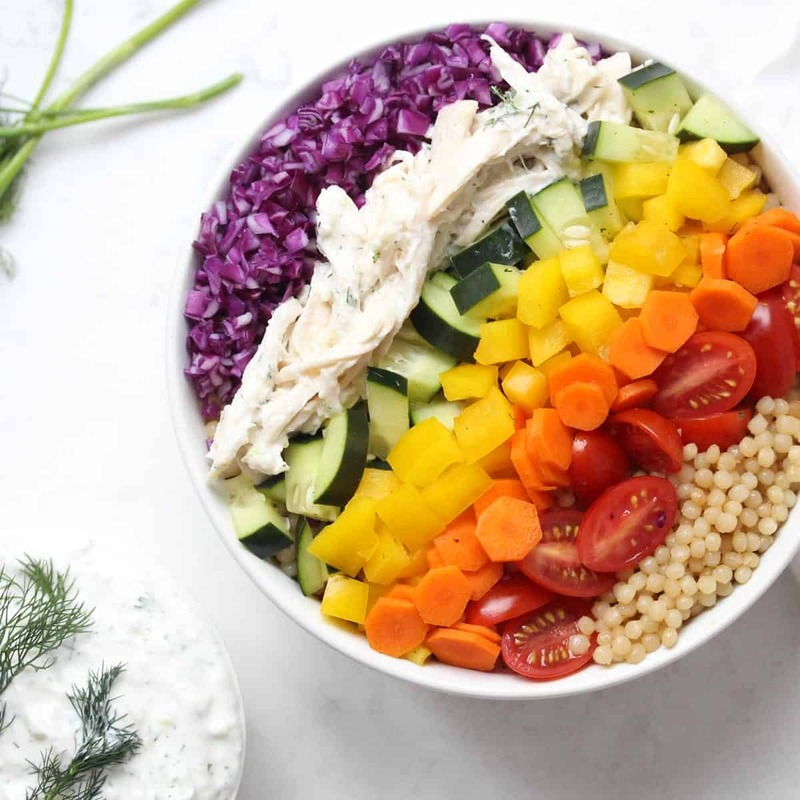 The Healthy Meal Framework – The 4-step process I use to make healthy meals when I don’t have time to meal plan or prep.